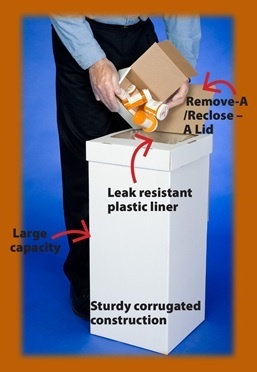 Collect unused or expired prescription drugs safely and conveniently with our Prescription Drug KeeperTM boxes. 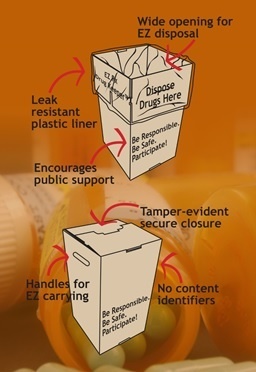 Whether you collect prescrptions at your facility on a regular basis or are spearheading an initiative to collect prescriptions safely, our cardboard prescription collection boxes are convenient, economical and durable. Quick turn around on quotes. Containers ship in bulk or choose convenient 6-packs. Ability to ship to any and all locations you specify. Contact us today to get your sample.